Even though IFE was a few weeks ago we still can’t get it off of our minds. We saw so many amazing brands that we would like to share with our #LOLLYLOVERS. Two of the biggest trends at IFE were sustainable and vegan friendly foods. We saw and spoke to a lot of brands that are making an effort in offering organic and vegan friendly foods. In this blog post we wanted to highlight the brands that are making a difference and who really impressed us. 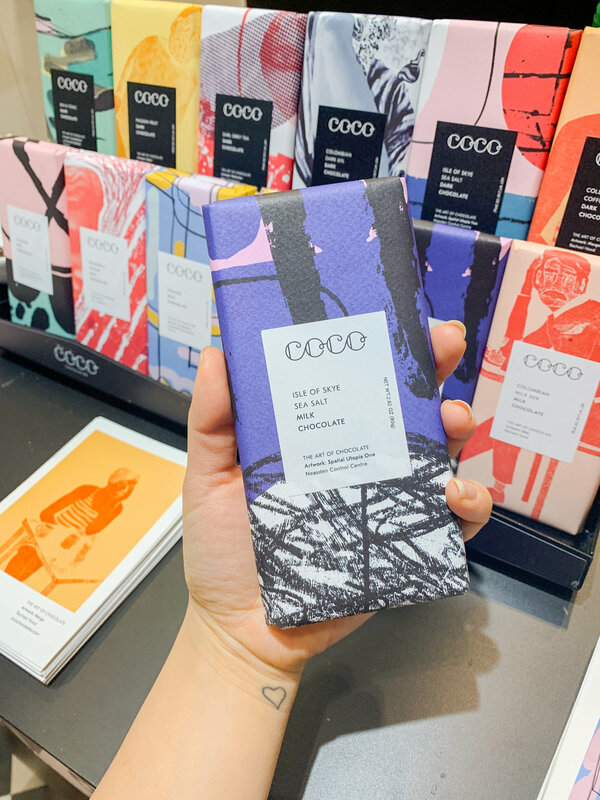 Coco Chocolatier – This is a chocolate company and they use amazing art of daring artists for their packaging and it shows because the packaging looks amazing! They are palm oil free, use 100% natural ingredients and are sustainably produced. Willy’s apple cider vinegar – As the name suggests it an apple cider vinegar drink and a natural energy drink. For this company their sustainable produce is the heart of their product. The apple cider vinegar is raw and unpasteurized and even the pulp waste is put to good use. Woodridge Sticky Rice Chips – They mix together traditions and ingredients from across the globe to create their super delicious Rice Chips. Insisting on using sustainability, they are in a partnership with the earth. Abakus foods, jujube fruit – These sweet and chewy snacks are vegan, gluten-free, dairy-free and have no added sugars. These fruits are also called red dates. Alō snacks – This delicious snack is a combination of aloe vera with fruit. The snack is gluten-free, vegan and made with real whole fruit. Fairfields farm – Grown and hand cooked chips that are made with renewable energy. They are vegan and gluten-free. They are popular for their vegetable chips a couple years back. LioBites – Healthy dried fruit snacks, especially for kids who are not a fan of eating healthy. The snacks are vegan, diary-free and gluten-free. Radnor energy water – Apart from the water being allergy free, the PET and glass bottles itself are 100% recyclable! They have even been working on creating a closed loop system with their suppliers. Whole Creations – This company makes gluten-free pizza’s! They also have lots of other products that are gluten-free and some products dairy-free as well. We love that so many brands are making an effort to make the earth a better place. We hope that you check these amazing brands out some time! We ourselves have also made a new effort to make the earth a better place. We have just announced our plastic free packaging!